The world of loudspeakers should be something of a sleepy backwater. The technological developments that got us the classic loudspeaker design are mostly decades old. Moreover, while there have been significant step-changes in materials science and the ability to measure every single aspect of a loudspeaker and its cabinet, this has been the case for years. Surely by now we must be at the point of minor nuanced changes in performance? The loudspeaker might be a mature piece of equipment, but it is still capable of producing profound and surprising performance improvements from year to year. It's a moot point whether this comes down to new developments in the material world, ever better measurement systems, more refined accompanying products giving the loudspeaker the chance to shine, or engineers given an ever freer hand to express their best-possible designs. The fact is, today's loudspeakers are better than ever. What we have now is greater bandwidth, in a literal and metaphorical sense. The biggest and best loudspeakers are now capable of following ever closer to notional ideals of the perfect loudspeaker. On the other hand, we are also seeing considerably more affordable loudspeakers delivering extremely high degrees of performance compared to the predecessors. 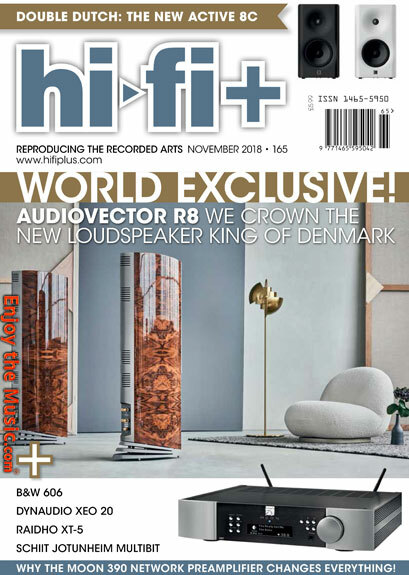 And with active and DSP driven loudspeaker designs finally beginning to move from the studio into the home, the performance of loudspeakers at all levels is continuing to get ever better. It's not hyperbole to say the best loudspeaker designs we have ever heard have appeared in recent years. The best of this though is the 'where do we go from here?' comments seem to have disappeared from the loudspeaker discussion. We know loudspeakers are improving, and we know they will keep improving over time. The days of an audio industry being preserved in aspic are over, if we want them to be. That last point is relatively important. Many people are not sold on the pace of modern life, and think past masterpieces are better than current designs. While it's a broad church, audio is pressing ahead! We got our star-charts mixed up a little in the last issue. On the cover and in one section of the AURALiC review, we wrote ARIES G2 instead of VEGA G2. I mean, it's easy to do � the two constellations are only on opposite ends of the Northern Hemisphere and look completely different � it's an easy mistake to make. Our apologies to any sailors lost as a result of our poor navigation skills. 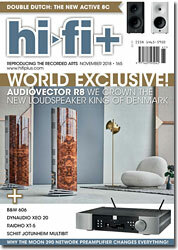 Click here to subscribe to hi-fi+ magazine.